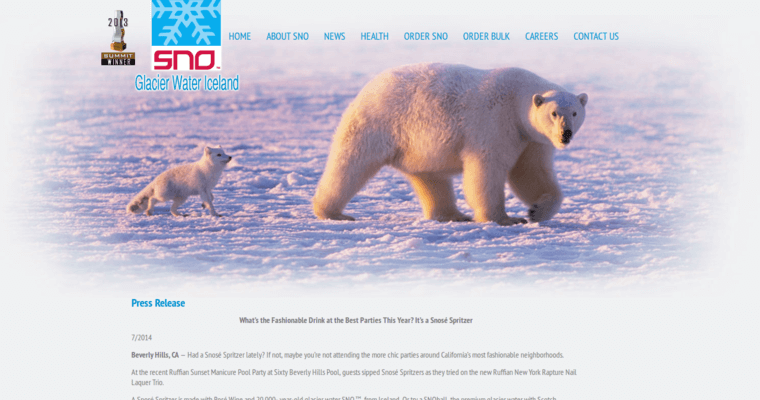 Sno Water is a glacial water brand that uses state of the art techniques to stay above the competition. They harness water from northern glaciers that have been sitting for thousands of years. As the glaciers mature, the water develops natural flavors that are evident in every drop. From these glacial stations, Sno Water transports the liquid to factories across the country. Purifying the water is a three stage process that then transitions to a bottling station. When the water is ready to go, it is shipped around the world to retailers. 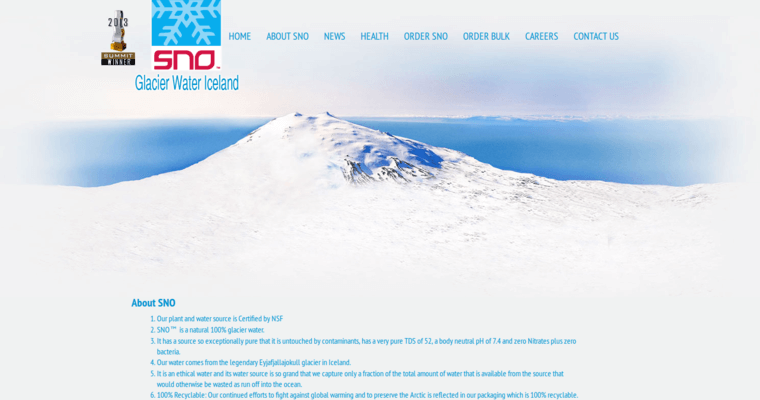 Sno Water does an excellent job of consistency. Every bottle is checked to meet certain standards, and if it doesn't pass, it is sent back to a previous stage. 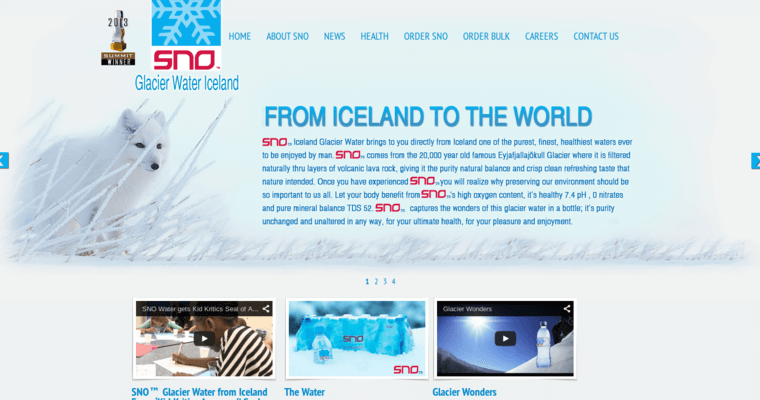 In this day and age of increasingly valuable water, Sno Water is a pioneer in the field.